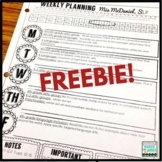 Choose a preschool lesson plan template that fits your needs. 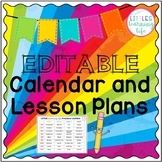 This completely editable set includes 6 different lesson plan options. 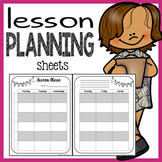 For more information and ideas check out my blog post on selecting a lesson plan template. 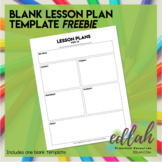 This is a set of 48 BLANK lesson plan templates for you to write on. Just print it and fill in the blanks for each day! This download is intended to be a snapshot to send home to parents, turn in to administrators and/or hang in your classroom so that everyone will know your basic plan for the day. 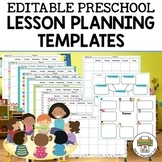 This is an editable lesson plan template for 3 day preschool. This is an editable lesson plan template for 2 day preschool. 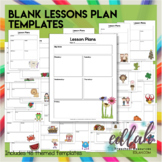 Lesson Plan template for preschool classroom. This lesson plan can be edited once downloaded. This template can be used for children as young as two and as old as five. 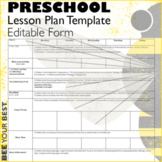 Printable lesson plan template for preschool. This follows a two day a week schedule, but you can edit it to fit your needs. 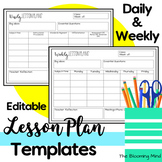 This is just a simple, editable lesson plan page template. The subject areas can be modified for any subject, and the colors and fonts can be modified to fit your needs as well. Enjoy!